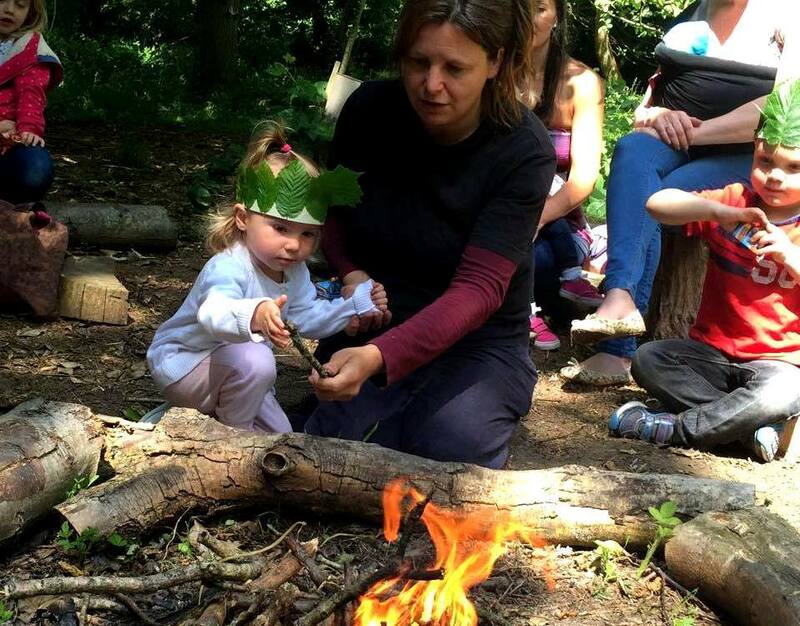 Bluebell Club is a woodland playgroup for children aged 2-4, together with their grown-ups. We meet on fortnightly (ish) Fridays all year round (except the summer holidays) at the beautiful private Bluebell Walk woods at Arlington and occasionally at Abbots Wood, the Forestry Commission woodland also in Arlington. 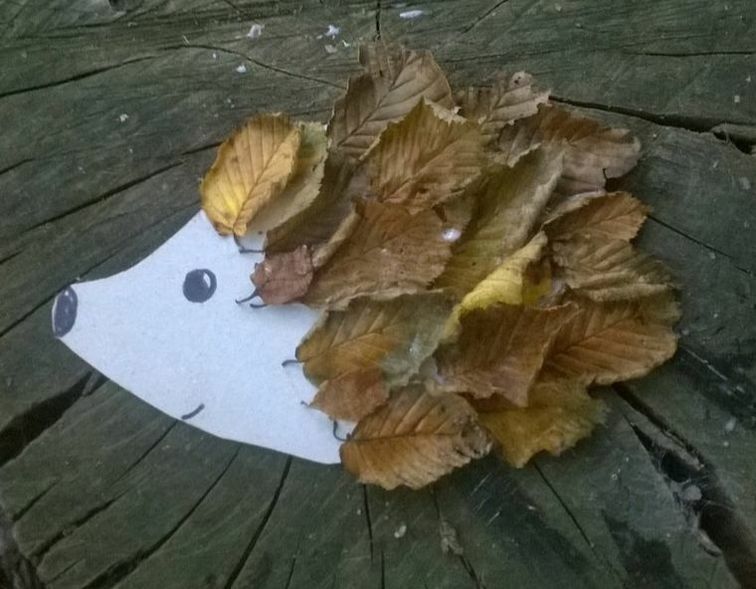 Explore the magical woodland and watch the changing seasons. There will be discovering, storytelling, creating, something to take home and skills to learn and develop. You'll need to book and pay in advance - contact Sarah on 07887 556336 or sarah@cherrywoodadventures co uk. 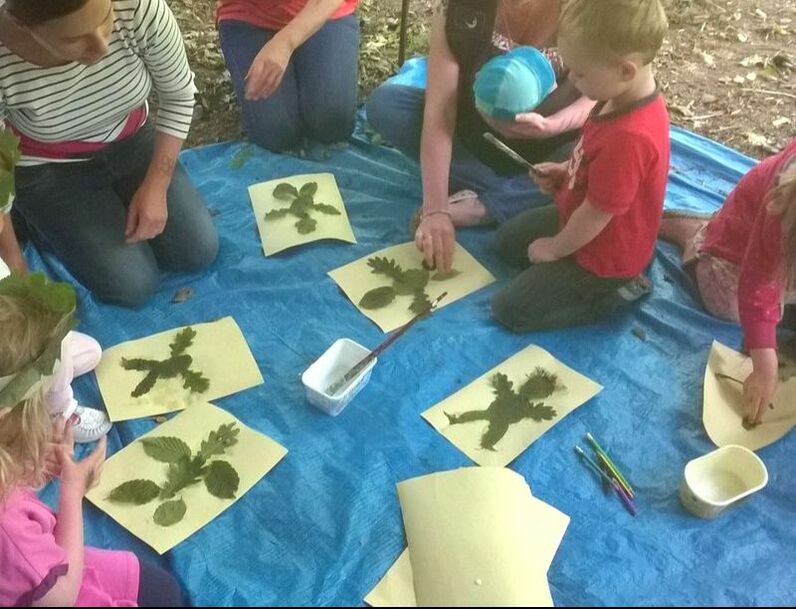 The Bluebell Club follows a similar format each time: We welcome the children and their grown-ups in the yard, remind them of what they need to be careful of in the woods, introduce the theme for the day and set off into the woods. Often there is a story element, and the story might begin at the entrance to the woods. Quite often we collect natural materials on our way into the woods, or search for hidden toys, or clues, along the route. We sometimes look for signs of animals, or do a small game or activity along the way. It's nice to repeat things we've done before, so the children get a familiarity with the wood, see how things change, watch things appear or disappear and so on. We usually then do the main activity of the session, followed by a snack in the woods at a sitting spot, where I provide drinks for grown ups and children. Sometimes there is a story here too, and this is usually followed by something to make to take home. It's all done at a 2 year old's pace, and there's no requirement to stay right with the group all the time if something else takes your notice. What's great about the Bluebell Wood is that we have it all to ourselves, there are no passers by or dog walkers - it's truly magical! For all, it's 10.30am - 12.00noon or 12.45-2.15pm at Arlington Bluebell Wood. Please arrive in time for a prompt start. As the club is getting busier, I now ask for payment by the Wednesday of the week you are planning to come. Sometimes I think I am expecting a full session, but then not everyone comes, and I have turned away other people. If you can't make it through illness, small children being what they are, please let me know by the night before and I may, at my discretion, forward the payment to another session. Payment for cancellations made on the day cannot be carried forward, I'm sorry. You can pay for one off sessions at £5.00, or book six (don't have to be consecutive) for £4.50 each, so £27.